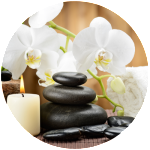 I am a fully qualified Therapist based in Nottinghamshire, specialising in Reflexology and a range of Holistic Treatments. You do not need to be unwell to benefit from Reflexology. It can counteract stress and tension, and be a much needed tonic allowing your body to unwind & relax. This treatment activates the body’s natural ability to heal itself, restoring balance and bringing a sense of calm and wellbeing to harmonise the body & mind. 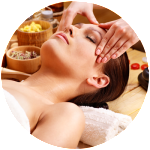 A deeply relaxing, soothing and calming treatment which can benefit many conditions associated with the ear, nose and throat areas. The warmth of the stones penetrates the muscles, working much deeper than standard massage techniques. 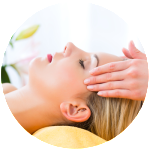 This treatment releases the stress & tension that has accumulated in the tissues, muscles and joints of the head, face, neck & shoulders. © 2018 Jill Harbey Reflexology. All Rights Reserved.